It’s pretty clear we all have our work cut out for us. Fortunately, there are some things we can do to stay on track. Marketing software and services provider Emma talked to more than 200 marketers and industry leaders at their annual Marketing United conference and compiled the results into their 2017 Email Marketing Industry Report. Here are the top five takeaways on what’s driving today’s marketers. 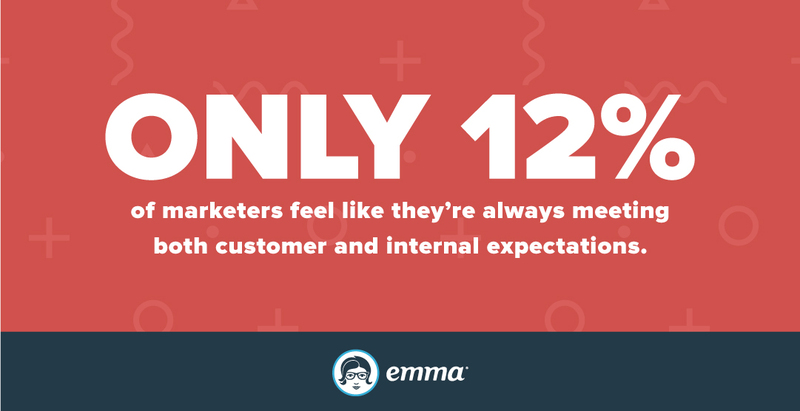 Emma found that only 12 percent of marketers say they’re always meeting both customer and internal expectations. It varies, of course, but it does imply that a whole lot of us are just trying to keep up. It’s true, we have a lot to do. We do our best to meet organizational needs and take care of our customers. But we all have those times when we feel like Sisyphus, pushing our big marketing goals up the hill and trying not to get squashed when they roll back down on us. If there’s one thing that marketers love, it’s data. We solicit it via forms and surveys and collect it from websites, social media posts, and sales. Data is critical to helping us understand our customers’ preferences and behaviors as well as how we can improve our products and processes. Yet despite the plethora of information at our disposal, we’re stymied on what to do with it all. 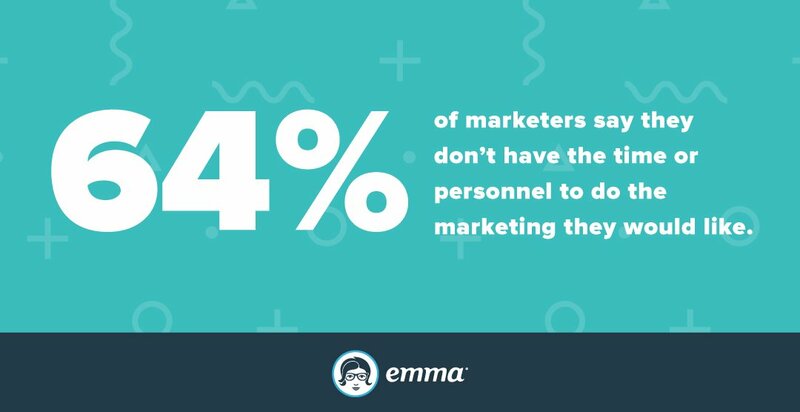 According to Emma’s research, 64 percent of marketers say they don’t have the time or personnel to do the marketing they would like. Ask yourself: Why are you collecting data? Could you put the information you’ve gathered to better, or more efficient, use? Consider the possibilities. By revisiting the data you already have, you could discover new insights that inspire new campaigns—and justify getting more of those resources we all want and need. How many times have you faced the question, “Deliver content that satisfies our audience, or deliver content that satisfies our bosses?” In a perfect world, it’d be both, but it’s a constant balancing act for most team members. In its report, Emma suggests that if marketers want to address both internal and external demands and hit goals faster, then personalization is key. Segmenting, customizing, and personalizing your content makes it more relevant to your audience. Greater relevancy strengthens the customer-brand relationship, and a better relationship means a more invested (i.e., profitable) customer. Put simply: Great personalization campaigns answer questions consumers haven’t yet thought to ask. Accenture research backs up Emma’s findings, showing 75 percent of consumers are more likely to buy from retailers that personalize content. If you’re not already prioritizing personalization in your content marketing, you might want to start because it provides a win-win for meeting both internal and external expectations. With many of us constantly chasing the new and shiny in digital marketing, it’s easy to neglect more established tactics that may have lost their luster. Emma says that email marketing, while certainly not a new platform, still vastly outperforms other channels including social media, SEO, display/pay-per-click ads, and mobile/SMS. 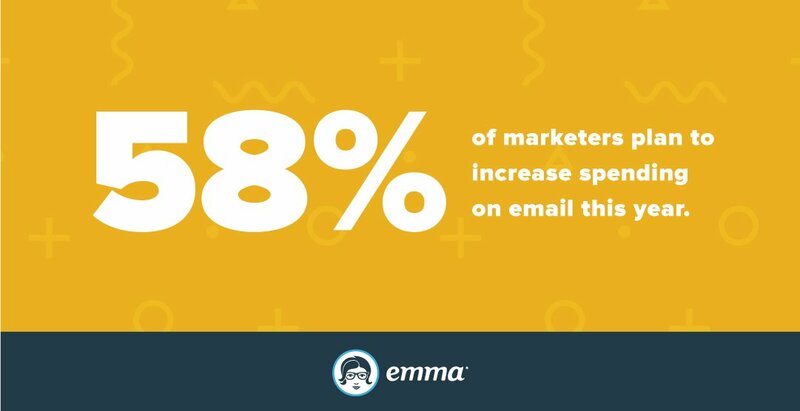 According to Emma’s ebook, “Why Email Holds the Key to Lasting Customer Relationships,” email continues to reign due to one undeniable power: It provides guaranteed reach. Marketers have the power to target, test, tweak, and track email to improve that reach—and hopefully its relevance and engagement. It’s no wonder marketers find it so essential. Because email is a familiar platform that generally requires little to no effort to maintain, marketers may find they underutilize it to their detriment. Emma asked respondents, “How well is your email marketing integrated with your other marketing systems?” The response was, dishearteningly, “Not well at all.” A mere 12 percent confirmed they’d fully integrated their email program with other systems. 49 percent indicated partial integration. Integration with other channels, personalization, and targeting continue to present challenges, but marketers are starting to reevaluate their email programs. Emma learned that 58 percent of marketers plan to increase spending on email in the next year, primarily to tap into its significant ROI advantage. Emma’s research provides an inspiring reminder for marketers that email is still relevant, useful, and above all, valuable. Isn’t it time you take a fresh look at your existing email marketing and rediscover its potential? 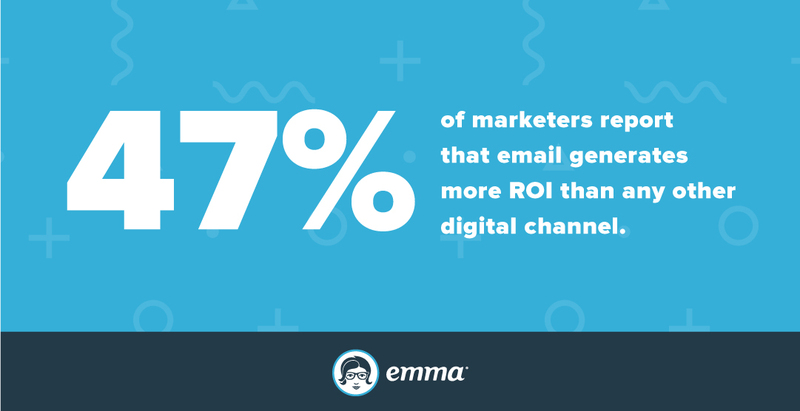 For more insights, download Emma’s “2017 Email Marketing Industry Report” and “Why Email Holds the Key to Lasting Customer Relationships,” or browse Convince & Convert’s email articles.